Companies that adopt lean manufacturing software and processes can potentially reap some significant benefits, including the elimination of wasteful resources from the production process, increased efficiencies in manufacturing and distribution processes, and reduced costs. By building leaner operations, manufacturers can get products to customers more efficiently and at a lower cost. But implementing lean manufacturing software comes with risks and challenges that need to be effectively addressed. Companies that fail to prepare for these and other hurdles are likely to be in for much disappointment, and they won’t fully benefit from their investment in lean manufacturing software. Here are some things to watch out for, according to Bob Parker, group vice president of IDC Manufacturing Insights, and an expert on manufacturing processes and technology. Failing to prepare the organization for lean manufacturing. Lean manufacturing software applications, including electronic kanban systems, pick-to-light systems, and value-stream mapping software, can certainly lead to improved processes. But these software solutions won’t be as effective if the organization has not first planned adequately for a cultural move to lean manufacturing. "Don't put the cart before the horse; make sure you have a well developed lean program using the right training and manual tools before automating," Parker says. It’s the same requirement as with any successful IT initiative: ensure that the proper process change accompanies the technology being implemented. Dropping the ball on ongoing management and maintenance. Managers need to resist the temptation to deploy lean manufacturing software and then sit back and relax and let the benefits roll in. That invites a host of problems as the needs of the organization change or evolve. Also, there are bound to be glitches with the business applications themselves that need immediate attention. "Delegate, don't abdicate," Parker says. "The software assists in continuously reassessing demand and resources. But it does not mean management can abdicate ongoing review and adjustment." It’s up to IT to work with various departments within the manufacturing and supply chain operations to make sure proper reviews and periodic adjustments in the software are being made. Using poor-quality data. If you don’t practice proper care and feeding of the software systems, and that means providing data that’s accurate, timely and consistent, you’re not going to succeed in improving lean manufacturing processes and you might even make things worse. There are plenty of examples of how poor data quality has led to a variety of problems. Practices such as data analysis, cleansing and hygiene can help improve and ensure data integrity. "The business software is highly dependent on accurate information about machine and labor performance, inventory, lead times, etc." Parker says. "Bad data will create bad output and people will lose faith in the system." Even worse, customers won’t be pleased if quality issues affect production schedules and product availability. Ignoring the bean counters. To be successful, a lean manufacturing software implementation must involve key business executives in the planning process. That includes people from the financial side of the business. "The biggest risk to broad lean adoption and software applications is that the approach can run counter to standard management accounting practices," Parker says. "Get the accountants on board early." That will help companies identify the right metrics and avoid problems down the road. Neglecting to properly integrate the software. Lean manufacturing software doesn’t operate in a vacuum; it must be integrated with other systems in the organization in order to be the most effective. If it’s not well integrated, enterprises run the risk of having disjointed operations and "isolated metrics" for determining how well processes are performing. "Connect to the mother ship," Parker says. "Make sure the system is well integrated with ERP software and other corporate systems as necessary so that the top floor and shop floor connect." Each of these stumbling blocks can risk jeopardizing the success of a lean manufacturing software implementation. Given the investment companies make in software and the associated support costs—and considering the potential benefits that can be gleaned from these systems—it makes good business sense to address these risk issues early on. In some cases, manufacturers can get help from outside consultants or from the enterprise software vendors. 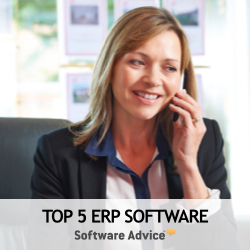 For example, experts can help with ERP integration issues or with ensuring data quality. But the ultimate responsibility for managing risk and ensuring success lies with the IT and business executives who will champion and oversee the lean manufacturing software implementation project. Make sure the lean manufacturing system is well integrated with ERP software and other corporate legacy systems so that the top floor and shop floor connect.